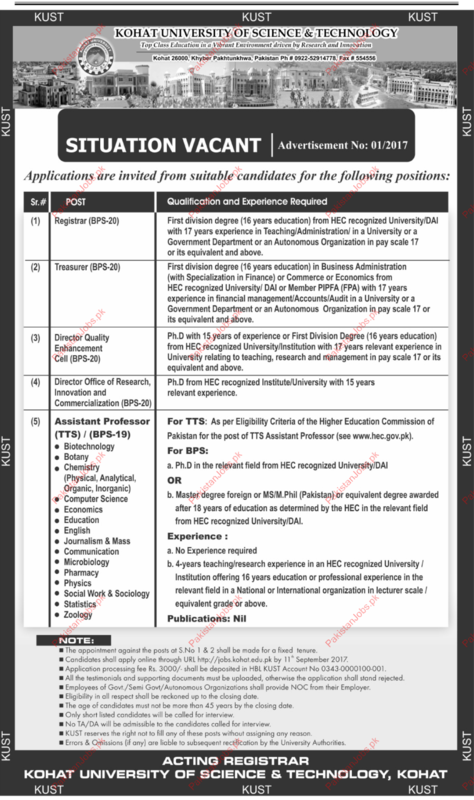 A well reputed Kohat University Of Science & Technology is looking for Registrar, Treasurer, Director Quality Enhancement, Director Officer Of Research Innovation and Commercialization, Assistant Professor ITS and many more. Interested candidate can apply. Candidate must have experience in relevant field.